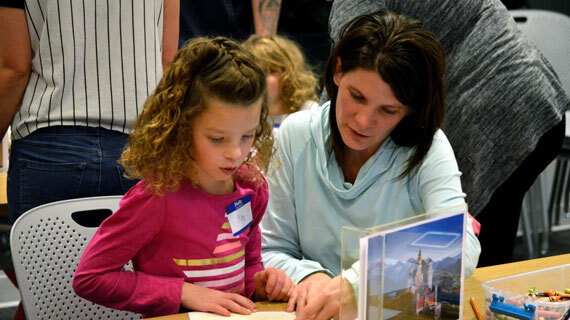 Parents looking for activities during spring break will find something new for their kids at the Southern Utah Museum of Art (SUMA). From April 2-6, the museum is offering Spring Breakout, a new half-day camp for students in grades kindergarten through 6th. Each day focuses on a different theme including visual arts, storytelling and poetry, theatre and dance, food art, and photography. Activities will be held from 9-11 a.m. for grades kindergarten through 2nd and 2-4 p.m. for grades 3rd through 6th. The camp is $25 per day or $100 for the week and needs-based assistance is available for qualifying individuals. For Friends of SUMA members, the camp is $20 per day or $75 for the week. To register for Spring Breakout, please visit www.suu.edu/pva/suma/experience/family-programs.html. During each day of Spring Breakout, students will participate in art discussions and hands-on art projects inspired by artwork in SUMA’s galleries and collections. On Monday, April 2, students will explore the gallery and view multiple types of visual art and participate in creative activities. The following day, Tuesday, April 3, students will learn about the ancient art of storytelling and learn how to use poetry to tell stories that are both imaginative and biographical. During Wednesday, April 4, students will be introduced to a variety of dances and theatre performances. They will work in groups to create and act out their own puppet plays. For Thursday, April 5, students will create art using food products and make their own food sculptures. The final day, Friday, April 6, students will tour the museum’s photographic exhibits, investigate different photography techniques and use the skills they have learned to create their own cyanotypes. Let your child’s inner artist out with Spring Breakout April 2-6. Registration is required and space is limited to 25 students per section. Please visit: www.suu.edu/pva/suma/experience/family-programs.html. Questions about Spring Breakout can be directed to SUMA’s Learning + Experiences team at (435) 586-8765 or experiencesuma@suu.edu.